Stigas’s versatile tillers are ideal for tackling and solving the basic problems of your vegetable garden or allotment as well as breaking up a lawn for re-seeding or changing to a cultivated area. With powerful engine and easy to use, these machines will have the job done in no time with a lot less effort. 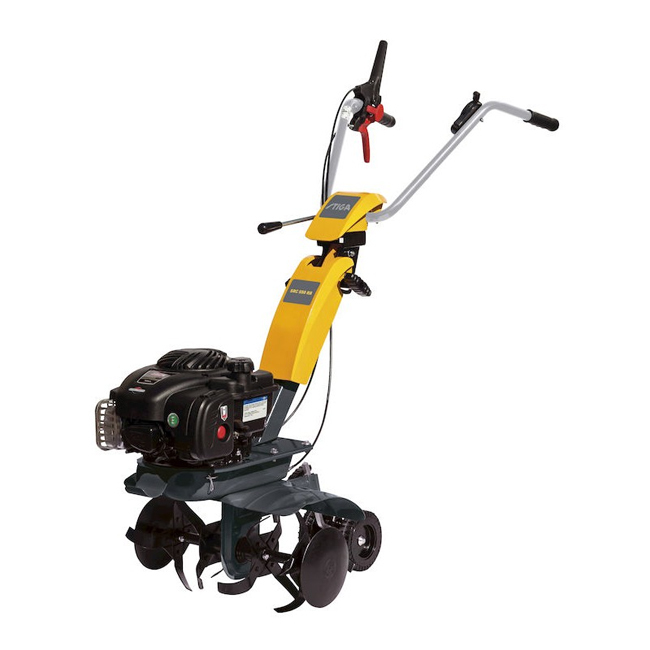 The Stiga SRC 550 RB is a powerful tiller, powered by a 125 cc Briggs & Stratton four stroke petrol engine, ensuring excellent performance, even when preparing the hardest soils. Four 260mm/10.4 inches rotors and side protector discs to prevent accidental damage to growing plants.,This machine has a working width of 50cm/20 inches and a maximum working depth of 20cm/8 inches. The oil bath transmission has forward and reverse gears. Fitted with twin rear transport wheel, height and side adjustable handle. Delivery of the Stiga SRC 550 RB is included only to addresses in Norfolk and the Waveney Valley area of Suffolk. One of our own service engineers will deliver and install this machine. We provide full after sales support for all Stiga products we sell from our branches at Horstead, Norwich and Toftwood, Dereham.